Happy Wednesday lovelies! I have a wonderfully bright and beautiful wedding to share with you today – say hi to gorgeous couple Bethan & Tom, who were married at Brinsop Court in Hereford. 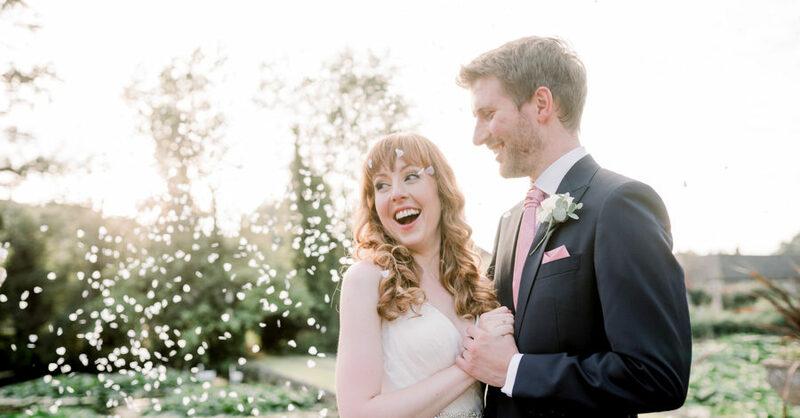 Their wedding was relaxed and elegant, with a classic English countryside style – and it’s simply perfect. 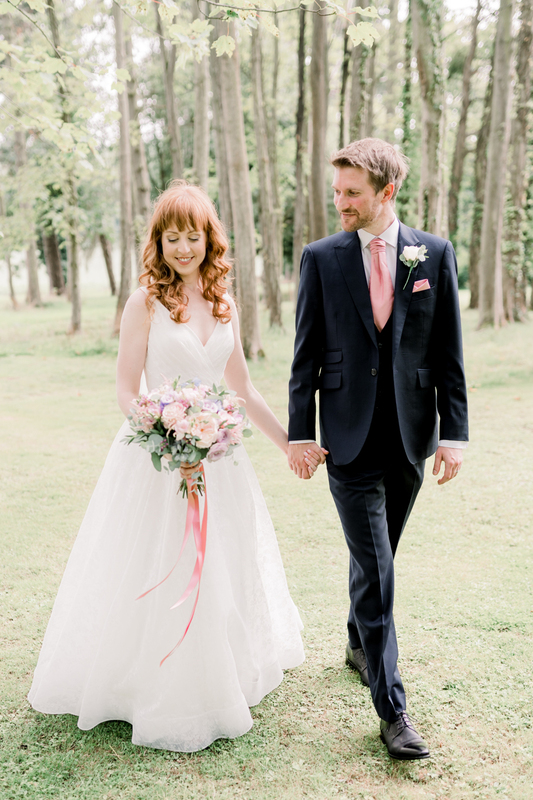 I adore the floral styling and Bethan’s dress is just perfect! Images are by lovely Joanna Briggs Photography. “After trying on A LOT of gowns in many, many bridal boutiques and loving quite a few of them I didn’t think I would have that moment of ‘this is it!’… but on a spur of the moment visit to a store in Cardiff I tried on the gown which I would later walk down the aisle in, and twirled in front of my Mam, we both looked at each other and said ‘this is the one’.